What Cars Can Be Rented on Turo? Should You Buy Turo Accident Insurance? What Should I Do After a Turo Car Accident? Should I Contact a Turo Accident Attorney? Formerly known as "RelayRides," Turo Inc. is an American-based rental car company that was founded in 2009 in Boston, Massachusetts. The company, now headquartered in San Francisco, California, allows consumers to rent out vehicles from private owners and commercial hosts through their website or mobile app for Android and iOS. According to Turo, the platform had approximately 4 million registered users and 170,000 privately-owned vehicles available for rental services as of 2017. Getting started on Turo is fairly simple. To rent a car, you can sign up with your email, Google or Facebook account. A photograph of your driver's license must be provided to Turo in order to confirm your eligibility and identity. Once this has been done, you may search for your ideal vehicle by inputting the location and travel dates in the Turo app or website search bar. When you have found your perfect car, you may book it. Vehicle owners are allowed 8 hours to respond to a trip reservation, but usually, it is much sooner. Listings with the "Book Instantly" badge may be reserved immediately. After the trip has been booked and approved, you can meet with the owner to pick up the vehicle. While many owners may offer delivery, an additional fee may apply based on the owner's set rental terms and regulations. Provide the owner with your driver's license and perform a walk around inspection of the car. Take photographs of the rental before you drive off, including any signs of preexisting damage, and upload them to the "Trip Photos" tab in the app or on the Turo trip page. When your trip is coming to an end, replace the gas you used and drop off the vehicle back to the owner. Conduct a walk around inspection with the owner and submit final photographs of the car to Turo. Lastly, agree that the vehicle was returned in the same condition as received by the owner and hand the keys back. Vehicles that are eligible for listing on Turo must comply with all safety, mechanical and legal standards. To list on Turo, a car must be 12 years old or newer, have a fair market value of $150,000 or less, have no more than 130,000 miles and have a clean title with no total loss declarations. Owners are responsible for knowing the history of their vehicles before listing them on Turo as well as supplying their own valid proof of personal automobile insurance. Yes. Anyone who rents a car on Turo should always opt-in for their premium insurance protection as it offers emergency roadside assistance and liability insurance up to $1 million per single limit occurrence during the rental period. This liability insurance covers bodily injury and property damage incurred in an accident. According to Turo, a renter is not required to carry their own personal automobile insurance coverage to book a vehicle. However, the liability insurance Turo offers may supplement any existing coverage. If you have additional questions, follow this link for a detailed explanation of insurance and protection provisions. Renters who decline coverage must have their own automobile insurance policy that will cover them in the event of an accident while renting the owner's car. 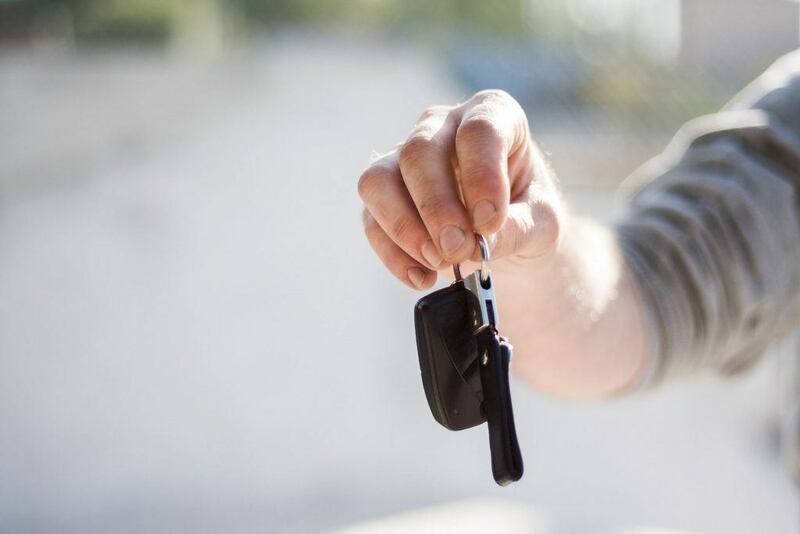 If a renter waives coverage, he or she is liable for any final assessment expenses up to the full value of the vehicle, in addition to any associated costs. Turo accidents often are caused by the negligence of another driver or entity. When these types of car accidents happen, it is important to know what should be done afterward to ensure your safety and protect your rights. Remain at the scene of the accident and check on all drivers and passengers involved for any injuries. Contact the police if there is serious property damage, injury or death and ask for a traffic collision report to be filed. Exchange contact information with the parties involved in the accident and any potential witnesses. Take photographs at the scene, if possible, as these will be needed to file a claim on the Turo resolutions page within 24 hours of the trip's end or date of the incident to ensure eligibility for coverage. Even if you believe you were uninjured in the accident, medical attention should be sought as a safety precaution since some injuries may not present themselves immediately after a crash. There are many factors involved in any Turo accident case. If you or a loved one have been injured in an accident involving a Turo vehicle, it is vital to retain a seasoned car accident lawyer in these types of situations to secure your best interests and maximize your recovery. We represent people who have suffered personal injuries in accidents with Turo cars and those hurt while driving a Turo vehicle. I'm Ed Smith, a Sacramento Turo Accident Lawyer. If you or a loved one have suffered injuries in an accident involving a Turo vehicle due to the carelessness or negligence of another driver, or if you were injured as a result of a Turo vehicle driver's carelessness or negligence, contact an experienced attorney promptly. By doing so, you and your attorney can go over the details of your accident, discuss what rights you have and decide the best options on how to proceed. Call me any time at 916.921.6400 or toll-free at (800) 404-5400 for free, friendly legal advice. I handle cases on a contingency fee basis. This means that you will not have to pay legal fees unless we reach a successful outcome for your case. I am a member of the Million Dollar Advocates. This is a forum comprised of trial lawyers who have won verdicts or negotiated settlements worth more than $1 million for a client. To see how I resolved cases in the past for my clients, visit our Verdicts and Settlements page.